It should have been an ordinary day for Martha Perantoni. She was finishing up her day at work for a local business in Evergreen, Colorado, when she felt a distinct and unusual sensation. Martha experienced a stroke, which occurs when the blood supply to part of your brain is interrupted, depriving brain tissue of oxygen and nutrients. In just an instant Martha’s life changed drastically. After spending a month at St. Anthony’s Hospital Martha was discharged to her home. It was the start of a new beginning and transition into her new life. Discontent with her progress and not meeting the goals she had set for herself Martha recognized that additional treatment was required. “I wanted to get back as much mobility as possible, I wanted to return to driving and get my autonomy back and possibly return to work,” says Martha, who eventually came to Craig Hospital’s Outpatient Therapy Program. For the next several months Martha worked relentlessly to improve her motor skills to be independent in her home, return to work, return to driving, and return to using her right arm. “She came in with a sling that required her to hold on to a piece of it with her hand. She really wasn’t using that arm at all, which was her dominant right arm,” says Frances Griffin, Martha’s occupational therapist throughout her outpatient therapy. In a relatively short amount of time, Martha was accomplishing more than she had anticipated was even possible. Yet, another barrier was looming: returning to work. “It was the reality that in many eyes that I would be different. In many eyes I would be too distracting or I wouldn’t be able to provide enough or get enough done or accomplish enough, because I’m a little slower. I think I was scared because at the time I really did feel very different,” says Martha. After expressing her interest to return to work, Martha was introduced to Craig Hospital Community Reintegration Specialist, Kelly Lombardi. “When Martha was considering going back to work she was looking at some different options. She had really wanted to return to something she was very passionate about. Her background included working in the performing arts, so when she found the lead at Phamaly she decided to pursue that,” says Kelly. 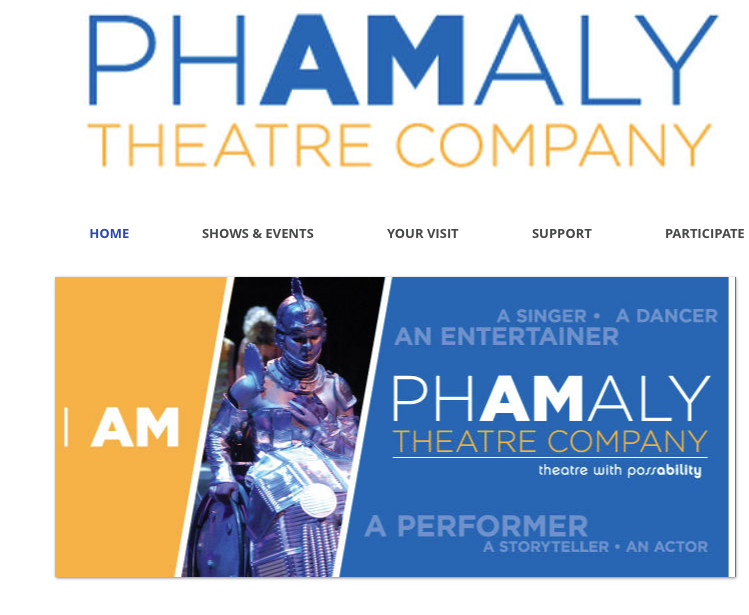 Phamaly Theatre Company was formed in 1989 when five students grew frustrated with the lack of theatrical opportunities for people living with disabilities. As a result, they created a theatre company that would provide individuals with disabilities the opportunity to perform. 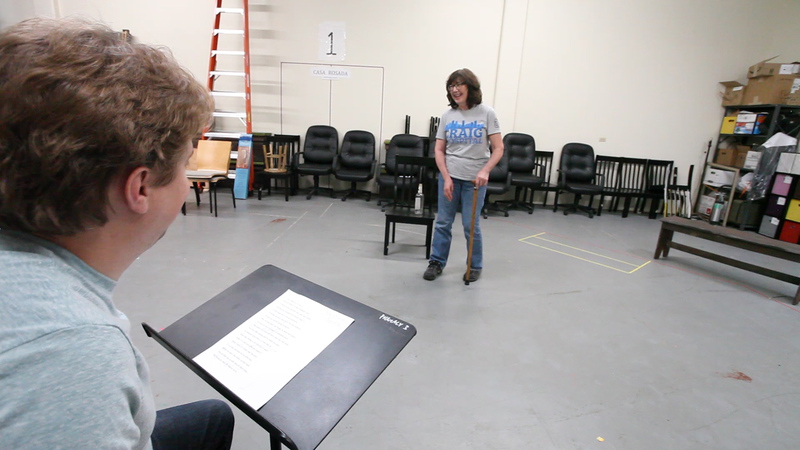 They produce professional scale plays and musicals year-round throughout the Denver metro region, cast entirely of performers with disabilities across the spectrum. Phamaly is currently touring a musical adaptation of James and the Giant Peach. This January will mark the two-year anniversary since her stroke. Rather than let her hardships and adversities diminish her self-worth Martha has instead used it as fuel to empower her.